Belt conveyor systems are the most common, followed by chain conveyor systems, roller conveyor systems, overhead conveyor systems and vertical conveyor systems. Conveyor systems may involve one or combinations of many different conveyor types. Most conveyor systems are automated, but some conveyor system types, such as roller and chute, are non-automated conveyor systems. Conveyor systems offer increased efficiency and productivity in packaging processes. Seeking continual improvement, conveyor system manufacturers are creating innovative solutions to new manufacturing challenges every day. Modern industrial conveyor systems are equipped not only to move parts across horizontal and vertical distances, but also to curve, divert, lift and sort products and packages as part of complete automated systems.Conveyor systems are used for applications such as packaging, material handling, distribution, warehousing, shipping, receiving, parts washing, drying, sintering and finishing. Industries that use conveyor systems include food processing, industrial manufacturing, automotive, military, commercial, aerospace, pharmaceutical and paper. Conveyor systems are automated moving lines that use belts, chains, or rollers to transport products and materials from one place to another. Belt conveyor systems involve multiple belt conveyors, which consist of a wide polymer or rubber belt wrapped around rollers which turn in the same direction, giving the belt and all objects on the belt linear movement. Chain conveyors systems are similar to belt conveyor systems, except that chains are wrapped around the wheels instead of a belt; chain conveyors may move products along one chain or multiple parallel chains. Roller conveyor systems are commonly used in these industries as well, using multiple rollers conveyors with rollers placed parallel to one another to provide movement. 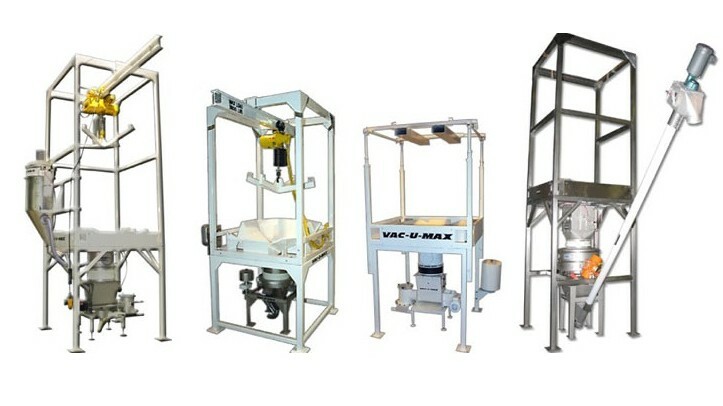 Vertical conveyor systems are a configured with platforms, buckets, grippers or magnets around moving belts or chains which to lift items from one level to another; although not as common, vertical conveyor systems can be crucial in facilities where it is necessary to safely transport food items or parts vertically. Parts manufacturers frequently use overhead conveyor systems to transport parts and products across a facility and/or through processing systems such as spray paint booths, dryers or ovens. Automated conveyor systems can combine many or all of the conveyor types available to transport products across a facility or to move unfinished products through automated assembly lines or finishing processes. For example, packaging industries have designed conveyor systems pre-programmed to sort specific boxes into separate chutes, and automated food processing conveyor systems can handle and sort the most delicate fruits and vegetables using sensors and robotic handlers. Conveyor Systems A conveyor system is a type of material handling equipment which assists in moving products, packages, foods or equipment from one place inside a facility to another, or through various stages of automated manufacturing or finishing. Because conveyor systems move such a broad range of items, different conveyor configurations are available to meet the material handling needs of manufacturers and distributors everywhere.